This week I’m delighted to be part of the Historical Novel Blog Tour which has been running since late last year, hosted by my fellow historical fiction author, Tiffani Burnett-Velez. Every Monday the tour stops at another historical fiction author’s blog and readers have a chance to get to know them and their books. My special thanks to author, Tiffani Burnett-Velez, for inviting me to participate, and to author, Viktor Steiner for introducing me last week! I’m an urban Canadian who has steadily downsized until I eventually settled into rural life in Northern Ireland. I came to the province from Canada to work for a while, and almost a quarter of a century later, I’m still here. 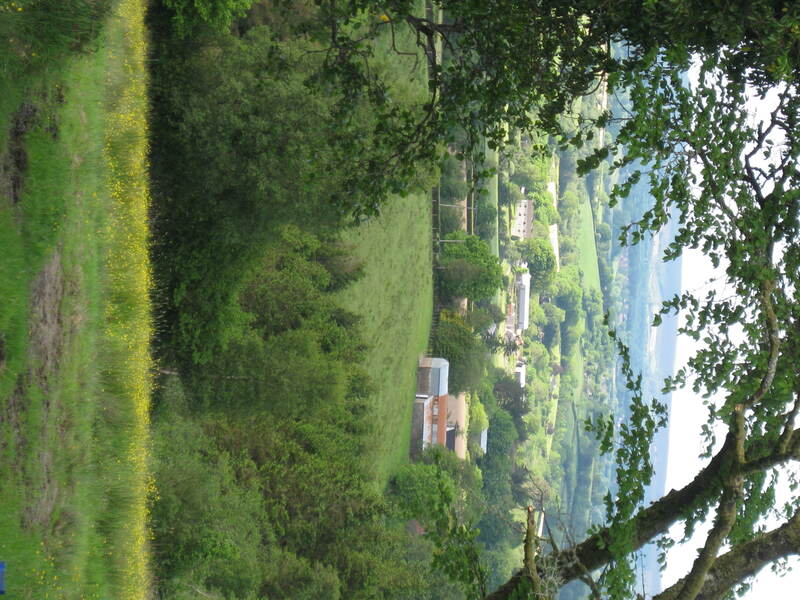 Downsizing from life in Toronto, a bustling city; to Belfast, a smaller city; to Troon, a town in Scotland; and finally to the tranquility of a small farm in County Fermanagh was good for me. I’ve always been an avid reader and, with ever fewer social activities to distract me in my adopted home, about a decade ago I decided to try my hand at writing. I write a mix of contemporary and historical fiction as well as the occasional magazine article. The island of Ireland has had quite an impact on me and my writing: most of my stories and articles have some connection to my adopted home. 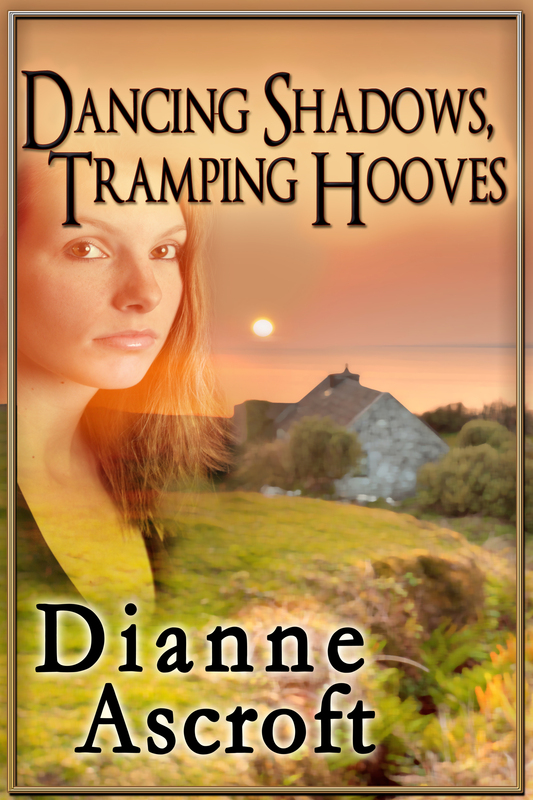 I’ve indie published an historical novel, Hitler and Mars Bars and a short story collection, Dancing Shadows, Tramping Hooves. My articles and short stories have been printed in Irish and Canadian magazines and newspapers. I’m writing a novel that’s a mixture of an historical tale, a romance and a ghost story, set during World War II not far from where I live. I’m in the process of revising the manuscript and plan to have it ready for publication this summer or early autumn. The working title is An Elusive Enemy. I really love where I live so I couldn’t resist digging into the area’s history for inspiration and a story. I think one of the things that fascinates me about Northern Ireland is that many aspects of the rural way of life have changed little during the past few generations. This is a great bonus for an historical fiction writer as it’s easy to imagine what the people and the place would have been like in earlier eras. During my local history research, I came across a legend about a ghost that is reputed to have tormented a family until they finally set sail for America during the First World War. The legend captured my imagination. It was the spark I needed and my story grew as I wondered what would happen if the ghost were to reappear and wreak havoc during the Second World War. I set the novel during World War II as it was a pivotal point in Northern Ireland’s history. The influx of Allied troops, especially the Americans, to train and prepare for deployment to the battlefront, had a major impact on the economy and society of the province. The old way of life was disrupted and challenged when confronted by incomers from an unfamiliar culture. Personal accounts I have heard and read about life during this period entertained me and set my imagination racing. How could anyone resist the novelty, excitement and spirit of such an era? All the major characters in the novel are fictional. Sir Basil Brooke, Prime Minister of Northern Ireland, and US Army General George S. Patton, two historic figures of regional and international importance, make brief appearances – walk-on parts, you might say. Each of them appears in a single scene and I based my storyline on historic events. Biographical background reading about each of them ensured that their actions and speech were credible and, in a scene where General Patton addresses US troops at an army camp, I based what he says on a recorded morale boosting speech that he is known to have delivered to troops on his tour of US army camps throughout Northern Ireland prior to D-Day. There is a lot of information available about the Second World War so I had to sift through it to find the most relevant materials. My background reading included general history books about the period as well as regional histories and memoirs. I’ve asked people to recount their memories and trawled through countless photographs to get a flavor of the era. Visiting regional museums including Enniskillen Castle Museum, Headhunters Railway Museum and the now closed Brookeborough Bicycle Museum has also been very informative. I am fortunate that there are several writers living near me, who specialize in local history, including John B. Cunningham, Breege McCusker, Joe O’Loughlin, Seamas Mac Annaidh and Dermot Maguire. When I get stuck as I search for information or try to verify a fact, one of them is often able to answer my question or point me in the right direction. I have framed my story to fit within the timeline of historic events, focusing on the months when the 121st Infantry Division was stationed in Northern Ireland and concurrent events in the European theatre of war. The characters’ knowledge that the clock is ticking and the troops will soon be deployed to the battlefield is the spur that prompts them to relentlessly pursue their goals. Private Mike Keegan is desperate to defeat the ghost that torments his family and win the girl he loves before he ships out and Ellen Corrigan must overcome her father’s opposition and her own fears in order to accept Mike’s love. There are many times when there is no historical evidence available and writers must be imaginative to fill in the gaps. I have no qualms about this. When I open a novel I want to read a fleshed out story so I’m happy for a writer to use his imagination in order to create a complete world and story. But I don’t like to see accepted facts changed to suit a fictional tale. The only exception I would make to this would be if the writer could build a case that his version of events is plausible and possibly the “truth”. I’m planning to write a series of novels set in Northern Ireland during the Second World War. The second book will continue the story of the two main characters I introduce in An Elusive Enemy. Subsequent books will be set in the same area but will introduce new characters. Vanda, an Edward Albee Fellow, and National Lambda Literary Award Finalist, was profiled in The Dramatists’ cover story, “50 To Watch.” Her play, PATIENT HM, recently won The Pride Film and Stage 2011 Women’s Work Contest. This same play was also a finalist in the Eugene O’Neill Playwriting Conference, the TRU Voices Series and the Seven Devils Conference. Original Works published her play, VILE AFFECTIONS in 2008 after a sold-out run at the International Fringe Festival. This play, now in its second edition, can be found in hard copy at amazon.com, in digital copy at Google Books and at Kindle. Another play, Why’d Ya Make Me Wear This, Joe? won Celebration Theater’s New Play Contest and was a winner in the Ashland New Plays series; it was also a finalist in the Reva Shriner, the Panowski, Play Labs, the O’Neill Conference, and the Cherry Lane Alternative Mentor Program. Vanda’s non-fiction story was published in Prairie Schooner, Sum, ’11. She is a member of The League of Professional Theatre Women, Emerging Artists Theater, The Continuum @ The Players Club and the Dramatists’ Guild. She is an Associate Professor at Metropolitan College of New York. Next Monday you can read her Historical Novel Blog Tour post on her blog: here. This entry was posted in February 2015, Uncategorized and tagged historical fiction, Historical Novel Blog Tour, Irish fiction, Tiffani Burnett-Velez, Vanda, Viktor Steiner. Bookmark the permalink. This is fascinating, Dianne. I like the way you have immersed yourself into your new homeland and delved into its history. It’s always great when someone can bring bare historic facts to life by conjuring up plausible characters. 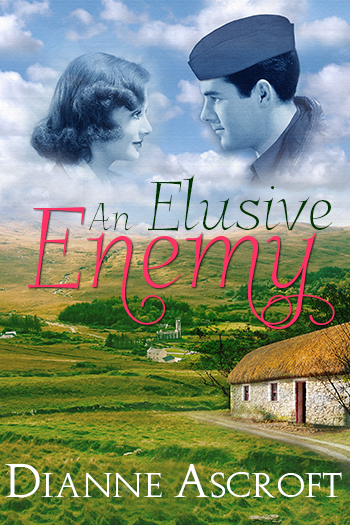 And the cover of An Elusive Enemy looks wonderful.